At our house, we encounter many plumbing problems each day and for their solution, we need acquiring the services of professional plumbers. Sometimes it’s about a dripping kitchen faucet or banging pipes or sometimes it is a running toilet. Out of various plumbing problems faced by us each day, some are easy to fix and you solve them yourself on the spot, however, if it is a major problem, you require contacting a Pakistani Construction Company that will provide you the services of an experienced and skillful plumber to make the repairs. Today, we are going to discuss the most common plumbing problems faced by us in everyday life and how we can solve them. The leaking shower heads: The leaking showers are found in almost every second washroom. There can be different types of leakage; you need to determine it, and then you will head towards its solution. If your shower is leaking near the shower’s arm, you will have to replace the washer. For that, you should remove its head from the adjusting ring. Besides, if you are noticing a decrease in the water pressure in the shower, there may be something such as mineral build up etc. which is blocking water from coming out freely. The perforations and inner side of the shower head should be cleaned to allow smooth and uninterrupted flow of water. Annoyingly noisy pipes: Noisy pipes are also known as loud pipes or water hammer. Initially, the pipes may create a low tapping sound. However, in the due course, they would start getting louder and will end up as a loud hammering sound. The cause of this troubling sound is water inside the air chambers and loose pipes, which due to extra high pressure of water, strikes the pipe’s walls. In order to solve this problem, you need hiring the services of a professional plumber. If you get your house constructed from a reputed construction professional such as AmerAdnan Associates, you will never have to experience such technical flaws in your plumbing system. The dripping faucets: The faucets come in a variety of types, used in bathrooms as well as in the kitchens. The faucets with a single handle are known as disc faucets or simply ball faucets. These last longer and hardly get damaged. In case, a ball faucet starts to leak out, the entire unit needs to be replaced. Besides, the compression type faucet makes use of washers which deteriorate with the time. 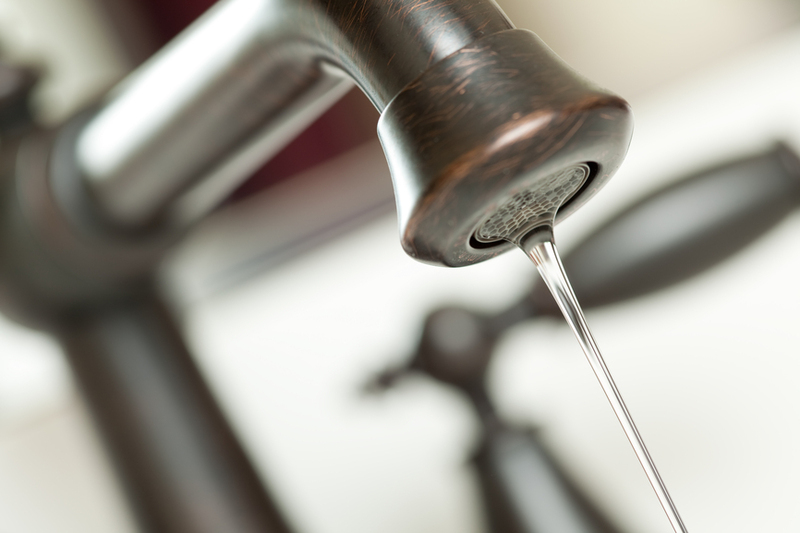 When the threads on these faucets wear out, the water begins to leak. In order to solve this issue, you need replacing the washer instead of replacing the entire unit. All you would require for this task is pliers and a screwdriver. The blocked pipes: The blocked pipes also known as the clogged pipes are a very common issue. This happens for many reasons but one of the most common reasons is, that somebody at your home has long hair. The clogged pipes cause water to come back towards your toilet, sink or the bathtub. You can find an elbow shaped pipe just below your bathroom sink, which is there to trap all the debris and dirt. A drain cleaner solution can be a great help in unblocking such pipes. Although you may be able to solve many of the plumbing problems at your house by yourself, yet it would always be the best idea to hire the services of a professional plumber to avoid any further damage as well as to ensure your own safety.